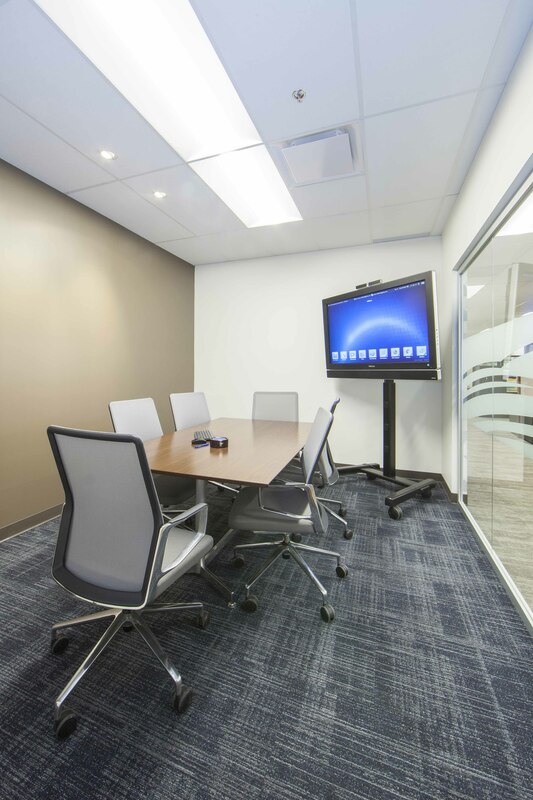 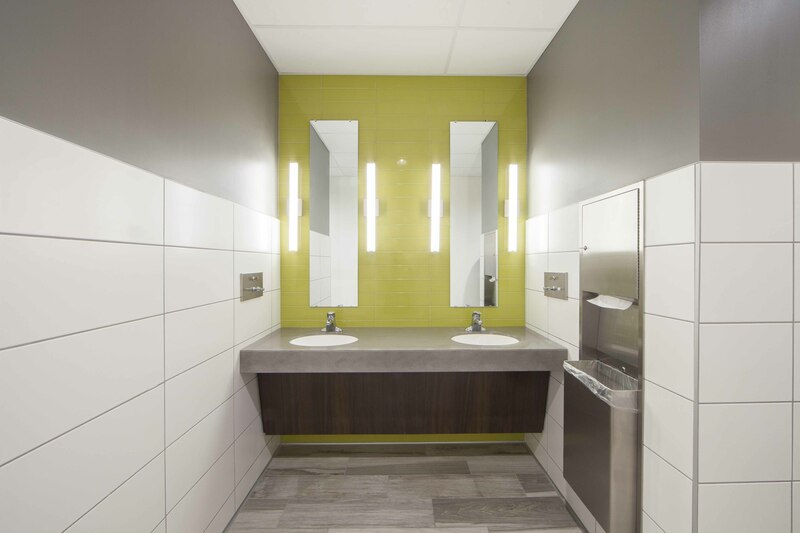 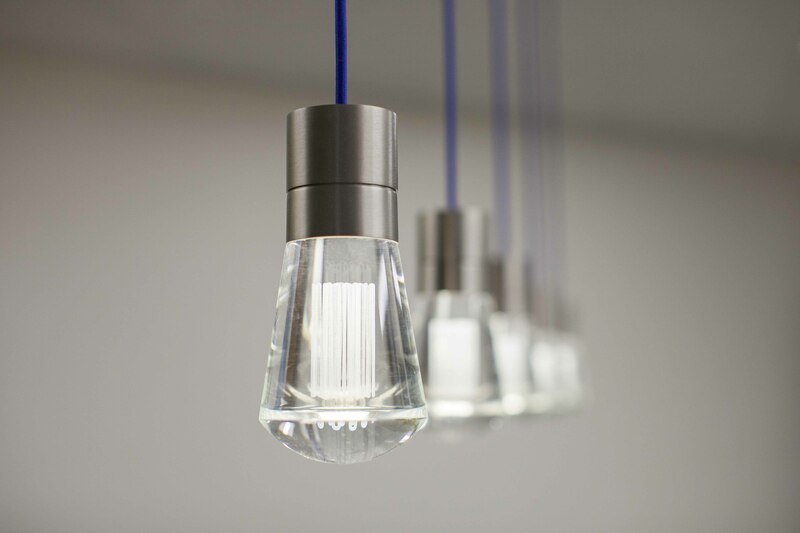 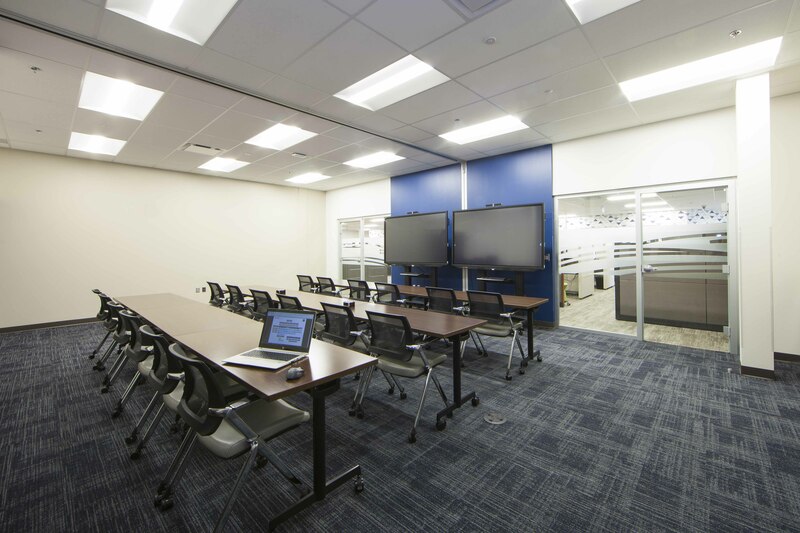 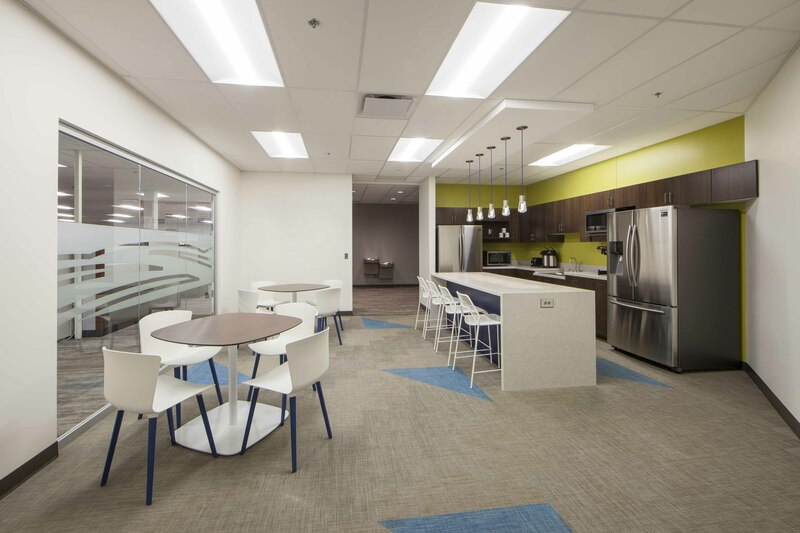 Mohagen Hansen Architecture | Interiors was selected to provide space planning, interior design, and furniture selection and specification services to create an updated, fun environment for the Operations Center team. 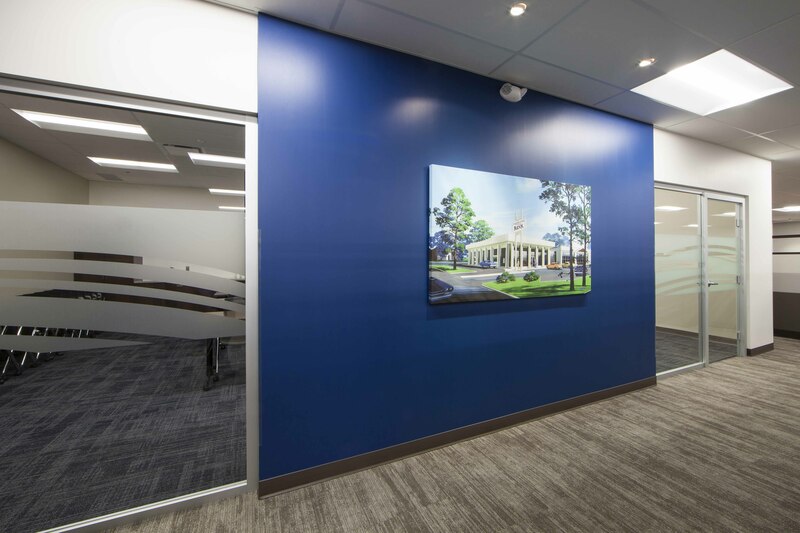 Building from the aesthetics and branding created for the Highland Bank locations, the Highland Bank Operations Center is a corporate support office for the multiple branches. 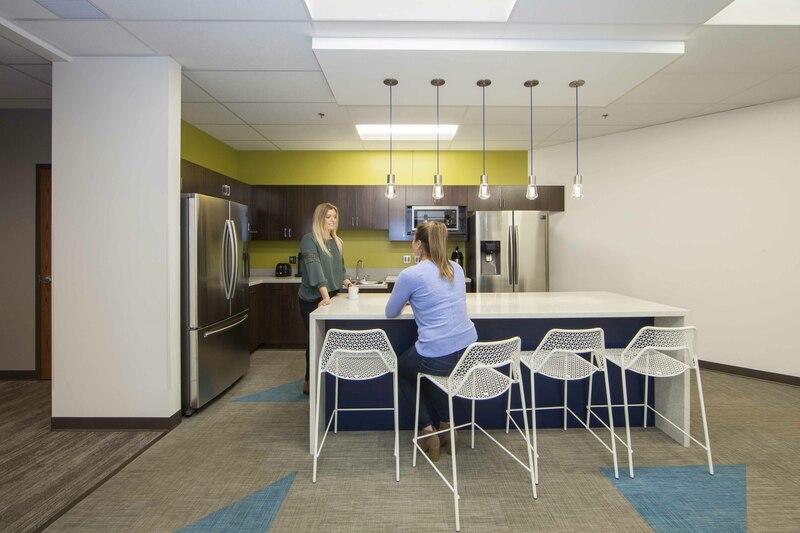 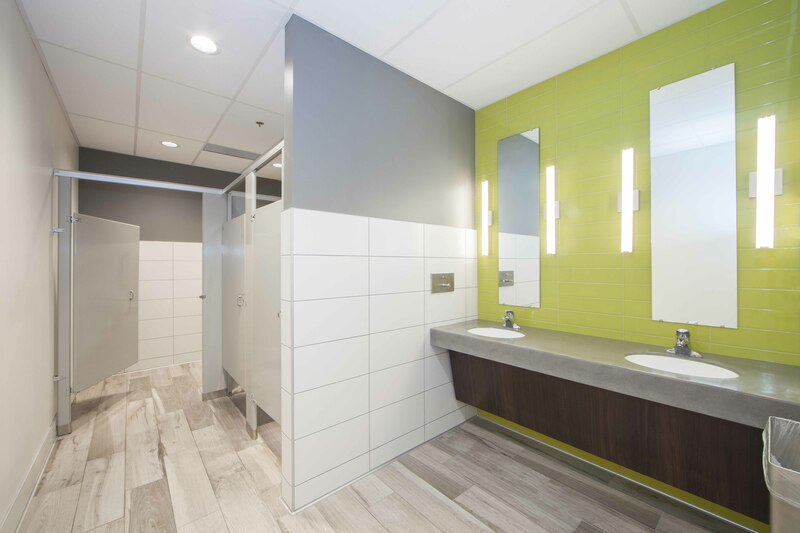 The environment is intended to be contemporary and flexible, meeting the goals of the employees not only spatially, but also providing them with fun break areas to promote employee satisfaction and retention. 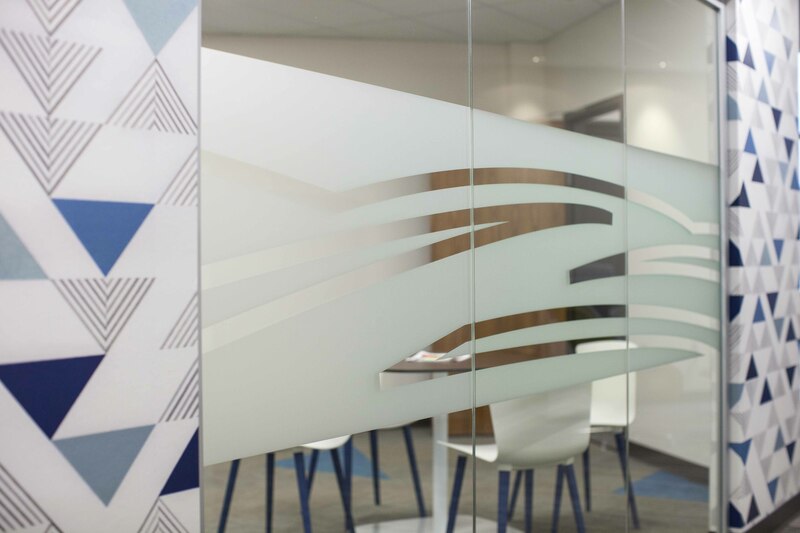 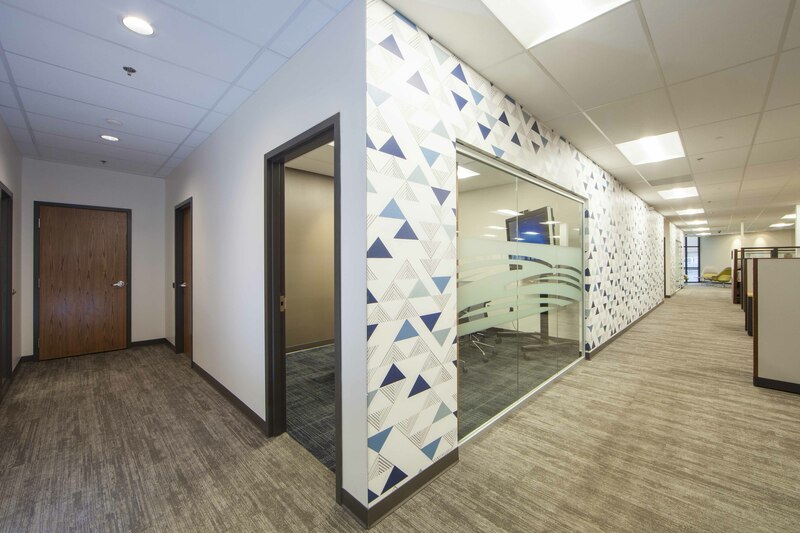 From a large graphic wallcovering to pops of color, the Highland Bank team appreciates this professional yet playful work environment.